Perfectly situated in central Chiang Mai City steps from Thapae Gate, CH Hotel is a perfect choice for savvy, adventure-seeking budget travelers who are looking for a value-for-money place to stay in Thailand's northern capital and wishing to be well-placed to explore all that this historic and vibrant locale has to offer. Awaiting your arrival at this budget hotel, that's really more like a boutique resort, are any of the 110 supremely clean and comfortable rooms and suite rooms you reserve. All these charming cottage-style rooms have a full list of amenities. You'll enjoy bathing in the well-appointed bathroom with both shower and bathtub. And you won't feel lonely when you can tune your phone or tablet into our free WiFi internet. Take time to sit back and catch up with your favorite shows on your in-room television with satellite channels. 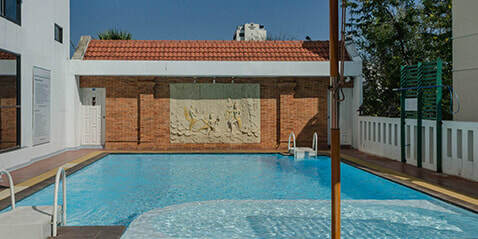 Beyond your secure front door, several recreational opportunities await, not least our beautiful outdoor swimming pool. Go further and CH Hotel is a springboard to all the activities that have drawn you to Chiang Mai - and many more than you imagined. to Chiang Mai Night Bazaar. The famous market collects utilities and exotica from all over the north of Thailand for you to browse and perhaps buy to take home, not to mention its lively street cuisine scene. Chiang Mai is an easy city to get around and reveals eye-opening views and experiences at every turn. Whether your preference is for cultural heritage and spiritually-charged Buddhist temples or colorful shopping venues and multi-ethnic restaurants and bars, including a hot live-music scene, you won't be lacking opportunity. Starting with the iconic Thaphae Gate nearby, Chiang Mai City is your oyster when you stay at CH Hotel on a beautiful budget trip with all the trimmings. Whether on a flying visit, a week's vacation, or a stopover for a whole season, you will never be bored or break your budget with us. 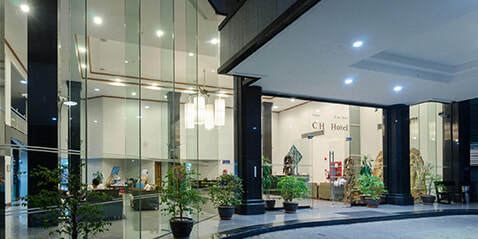 CH Hotel specialises in the warmest of welcomes with true northern Thai hospitality and friendly accommodation for travelers at budget rates that buy you more of a boutique resort experience and deliver you the vacation of a lifetime.